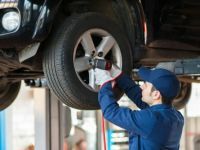 At AP Autocare Bristol, we offer an excellent MOT test in Bristol. We are trustworthy and professional with many years of experience. We have two MOT bays so can carry out an MOT on your vehicle usually at short notice. Amongst our team of technicians, we have 4 MOT testers. We are capable of testing class 4 5 & 7 - Cars Quad Bikes Vans and Minibuses. Weight limits apply to individual classes. If you want advice about your car MOT, give our team a call on 0117 963 8916. At AP Autocare, we offer class 4, class 5 and class 7 MOT tests. Our class 4 MOT test is for cars, LCV's, quad Bikes, and motorhomes less than 5000 kg. This test costs £45 and includes a free retest if needed. Our class 5 MOT can test minibuses of 5000 kg with a maximum of 17 passenger seats. 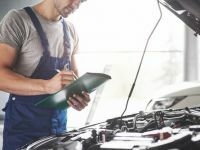 This MOT test will cost £59.65 which also includes a free retest if needed. Finally, the class 7 MOT test covers commercial vehicles of 3500kg. It will cost £58.60 including a free retest within ten working days if the vehicle fails the initial test.